Expert advice on toilets, with toilet and bidet buying guides, step-by-step DIY installation and repair tips, and toilet plumbing diagrams. 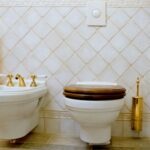 Does your toilet need repair or is it time to replace it? Although a toilet is not the most glamorous fixture in a house, it certainly is one of the most important and regularly used plumbing fixtures. All it takes is a day or two without a working toilet to fully appreciate the brilliance of this simple device. And brilliant it is. Invented by Thomas Crapper in the 19th century, the toilet is a relatively simple but ingenious contraption that operates as an interface between a home’s water supply and waste system to cleanly and safely eliminate waste. You can see this brilliance in action in How a Toilet Works & Toilet Plumbing Diagrams. 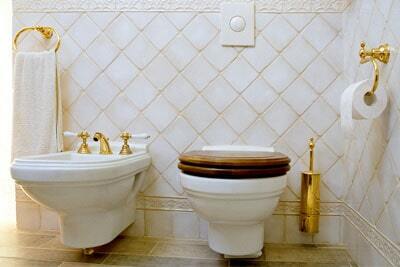 Though a toilet may be somewhat underappreciated, it can gain attention in a hurry when it stops working. With this in mind, it pays to have your toilet operate efficiently and trouble-free month after month and year after year. This section of HomeTips is flush with information about toilets. 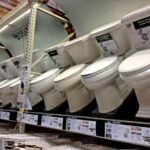 You will find unbiased guides for buying a new toilet, do-it-yourself steps for how to install a toilet, and information that will help you troubleshoot, repair, and keep your toilet operating properly.